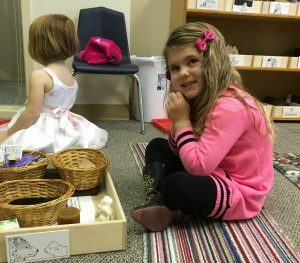 Godly Play is a Christian education program that helps children become aware of the mystery of God’s presence in their lives.” Godly Play does not just tell “Bible Stories”. It shares our church’s history through stories and invites the children to wonder and explore in new ways. Godly Play uses visual aids for children to understand the story as it is being told, then the leader asks questions of “wonder” about the story. The children come to a personal understanding of the story told that has meaning to them. For more information, please contact Amy Tones or Cindi Thomet, or call the church office.